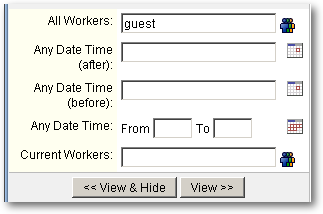 Minyaa provides CustomFieldTypes and a CustomFieldSearcher based on Worklogs. Inspired from J.Nolen's Vote and Watcher Plugin. These modules give the ability to see the list of Worker on an issue. This Custom Field Type provides the list of all Current Workers, users which are working on an issue. This Custom Field Type provides the list of all Workers, users which are working or have worked on an issue. It allow to list in Issue Navigator all Issues worked by a User.